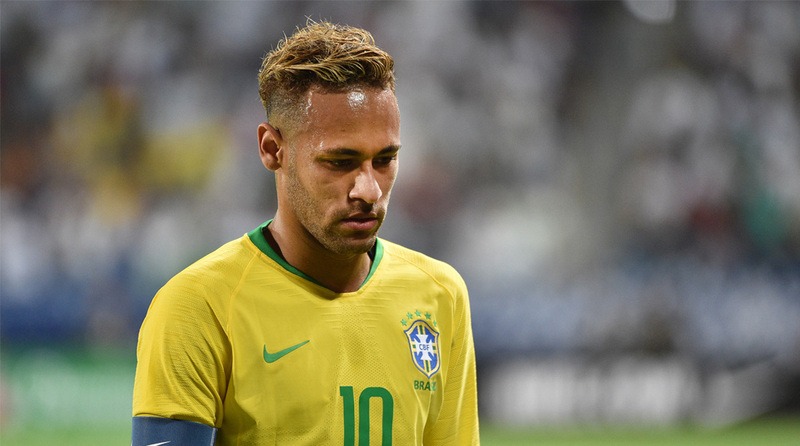 Neymar could be an injury doubt for Paris Saint-Germain’s Champions League clash with Liverpool next week after limping off during Brazil’s 1-0 friendly win over Cameroon on Tuesday. Everton’s Richarlison, Neymar’s replacement, headed in on the stroke of half-time for his third Brazil goal on his sixth appearance to secure victory for the Selecao. But Brazil team doctor Rodrigo Lasmar played down fears of a serious problem. Richarlison appeared dangerous from the moment he was introduced and Roberto Firmino went close three times. The Liverpool striker almost turned in Willian’s cross but Andre Onana made a fine instinctive save. Firmino next sent a free header wide from Richarlison’s cross and was then denied by the goalkeeper from point-blank range. Richarlison scored from the resulting corner, powerfully heading in Willian’s set-piece. Cameroon might have levelled after 52 minutes, but Stephane Bahoken could not get a touch on Karl Toko Ekambi’s cross. Fabrice Ondoa almost gifted Brazil a second when Ederson cleared downfield and the Cameroon substitute goalkeeper came 30 metres out of goal and collided with Yaya Banana. Manchester City’s Gabriel Jesus, on for Firmino, was through, but could only hit the post from a tight angle. Jesus’s City teammate Danilo shot just wide soon afterwards and Barcelona midfielder Arthur next struck the top of the crossbar from 25 metres. Napoli’s Allan fired straight at Ondoa with four minutes to go and then the latter made a double save, first denying Jesus and then Richarlison. Jacques Zoua hit the woodwork with a header in the final moments as Cameroon missed out on an equaliser. PSG host Liverpool at the Parc des Princes on November 28, with all four sides in Group C still in with a chance of qualifying for the Champions League knockout stages. The French champions, who play Toulouse at the weekend, will also be waiting anxiously for news of Kylian Mbappe, who suffered a shoulder injury in France’s 1-0 friendly win against Uruguay on Tuesday.